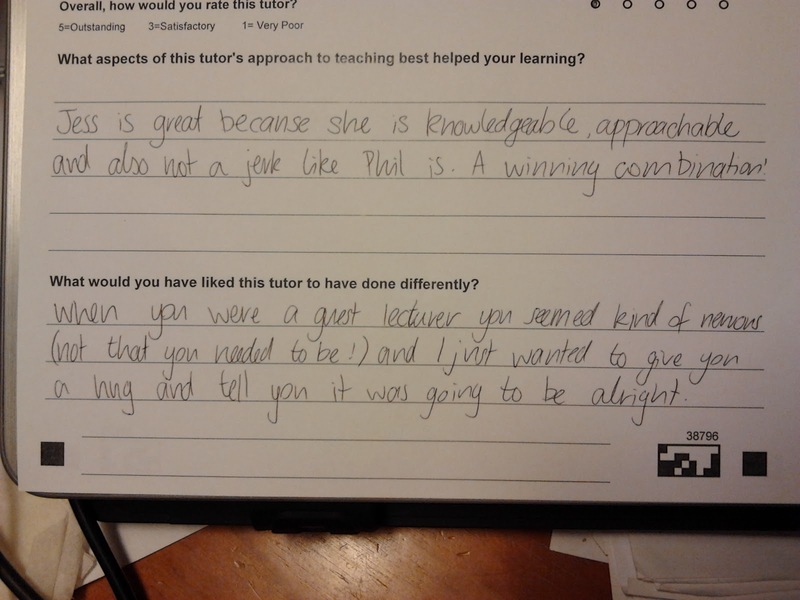 I finally got my teaching evaluations/student feedback from the previous semester in the mail. I absolutely adore my students. I love my job teaching/tutoring maths & stats!! (Note: Phil is the course lecturer's name) lol!